Core competencies encompass essential knowledge and skills that are widely considered necessary to work in a field. 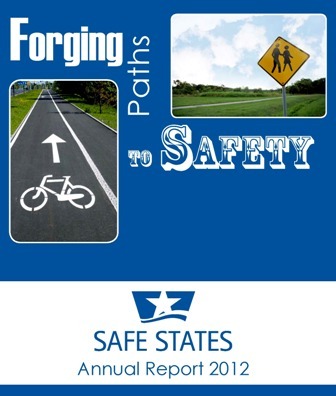 Most workforce development opportunities offered by Safe States Alliance through the Training Center are mapped to both the Core Competencies for Injury and Violence Prevention and the Core Competencies for Public Health Professionals. Some workforce development opportunities may reflect additional competencies, such as the Public Health Preparedness and Response Core Competencies. Search the Training Center’s online clearinghouse for opportunities addressing specific sets of core competencies and sub-competencies. Safe States Alliance partnered with the Society for the Advancement of Violence and Injury Research (SAVIR) in 2000 to form the National Training Initiative for Injury and Violence Prevention (NTI) and begin defining essential knowledge and skills that injury and violence prevention professionals need to reach their greatest potential in the field. Through this initiative, both organizations worked together, and with other partners, to develop the Core Competencies for Injury and Violence Prevention to address the training needs of professionals working in this field. The Core Competencies for Injury and Violence Prevention encompass essential knowledge and skills that are widely considered necessary to work in the field of injury and violence prevention. These competencies provide a basis for workforce development in this field and are intended to guide workforce and curriculum development efforts. It is not expected that an individual will need to be an expert in all of the competencies in order to effectively carry out his or her job. Rather, the individual should be competent in the blend of skills that is required to best serve injury and violence prevention programs in a specific setting. The core competencies are listed below. Click here to download a list of these core competencies with detailed learning objectives. The Core Competencies for Public Health Professionals encompass essential knowledge and skills that are widely considered necessary to work in the broad field of public health (defined by the 10 Essential Public Health Services). are organized into eight domains that reflect skill areas within public health, and three tiers, which represent career stages for public health professionals. were updated in 2014, with previous versions adopted in 2010 and 2001. See the Safe States Alliance Training Center’s Self-Assessments page for the Competency Assessments for Public Health tool. The Public Health Preparedness and Response Core Competencies establish a common performance goal for the public health preparedness workforce: to proficiently perform assigned prevention, preparedness, response, and recovery role(s) in accordance with established national, state, and local health security and public health policies, laws, and systems. These competencies – and an individual's ability to meet the common performance goal – are based on competencies acquired from three sources: foundational public health competencies, generic health security or emergency core competencies, and position-specific or professional competencies. The competencies are listed below. A detailed document and the Public Health Preparedness and Response Competency Map can be found here. The Council for State and Territorial Epidemiologists and the Centers for Disease Control and Prevention developed the Competencies for Applied Epidemiologists in Governmental Public Health Agencies (Applied Epidemiology Competencies, or AECs) to improve the practice of epidemiology within the public health system.